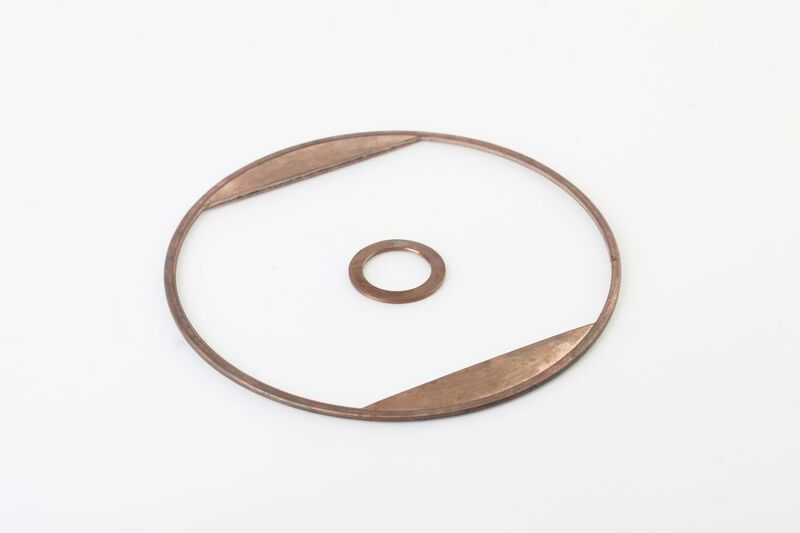 Flat metal gaskets are sealing elements very often used in chemical and petrol-chemical refineries, with installations, measure and control equipment, heat engines, etc. 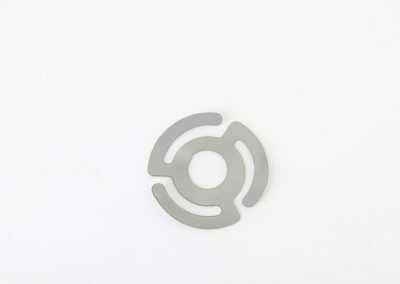 Usually, they are manufactured from soft metals in standard sizes according customers’ specifications or to norms, such as: ANSI, DIN, BS and API. 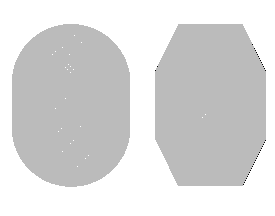 The gaskets’ profile can come in various shapes: round, square, oval, or other complex forms. The cutting is being done by using of water jet machines. In order to obtain a better sealing of the joint, the rugosity of the sealing surfaces is essential. The smaller the sealing pressure is, the better the quality of the sealing surfaces must be. 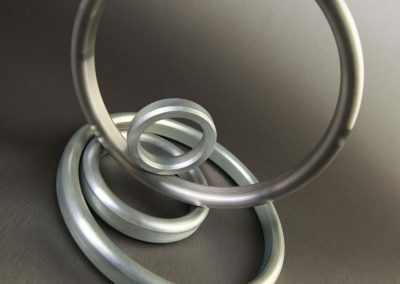 Sealing rings (RTJ) are generally used in difficult to seal applications that involve high temperature, especially when reliability is critical. 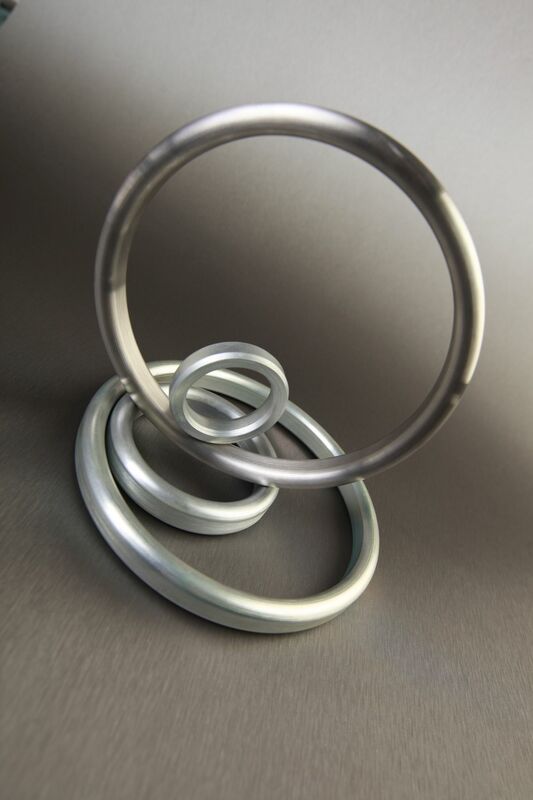 Metal rings are manufactured from metal or a combination of metal, in different shapes and sizes. There are a series of specific standards concerning the shape of the rings and the flanges’ sealing surface. All of these have a thing in common – the need of the contact resistance between the sealing surfaces to be high, in order to create a plastic flow of the metal when sealing. R Octagonal The ring with oval section creates the focus area for the contact force, but this is not clearly defined. Octagonal rings concentrate the contact force in a different manner, thus the tension increasing the reliability at higher pressures. RX gaskets are asymmetric octagonal rings that are considered to be energized by working pressure. 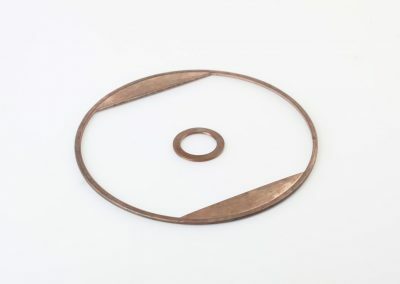 BX gaskets are also octagonal, but with shorter symmetric profile, and are designed to be mounted in the grooves situated on the front side of the flange so that, during assembly, they would be metal-to-metal. They are used at very high pressures of up to 1380 bar (20 000 p.s.i.). 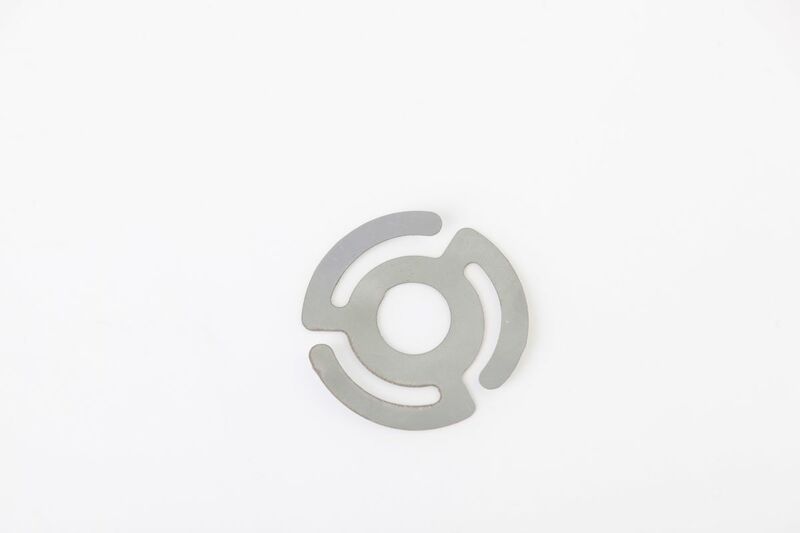 This is a conic metal ring that goes with a conic flange. In this case, the tapering is radial towards the inside diameter of the flange. It has the advantage of reducing the pressure area in comparison with RTJ as RX rings.